Two lovable guys. 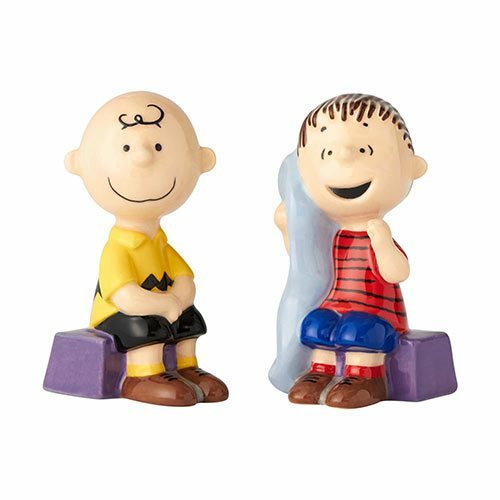 Bring the nostalgic flavor of Peanuts to your kitchen table with this colorful Peanuts Charlie Brown and Linus Salt and Pepper Shaker Set. Handcrafted and hand painted to precision, the 3 5/8-inch tall ceramic shakers capture the endearing personalities of Linus and Charlie Brown. Fans of the comic strip will delight in this fun and practical gift.